Mr. Uwe Kunz, General Manager. 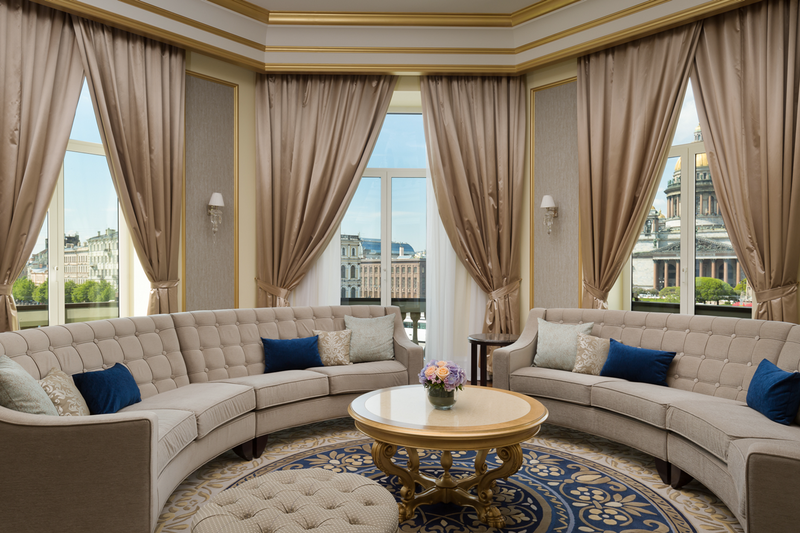 Mr. Kunz has successfully led the opening of Lotte Hotel St. Petersburg. He possesses over 20 years of international hospitality experience working for such famous hotel brands as Radisson Hotels in the USA and Hilton Hotels in Prague, Sofia, Warsaw and Moscow. The key to his success as a General manager is his passion for the hospitality industry, his strong character, and his love for operations. Mr. Kunz is a hospitality professional who knows how to balance creating a welcoming and authentic guest experience with day-to-day responsibilities of managing exciting hotel brand in a competitive market. The new five-star Lotte Hotel St. Petersburg is located in a historical mansion adjacent to the Mariinsky Palace on St. Isaac’s Square in the very heart of the city. Having once been home to the first ambassador to the Russian Empire, the sixth president (John Quincy Adams), and the Russian writer Nikolay Gogol, Lotte Hotel St. Petersburg is the first Lotte Hotel ever to be housed in a historical building. 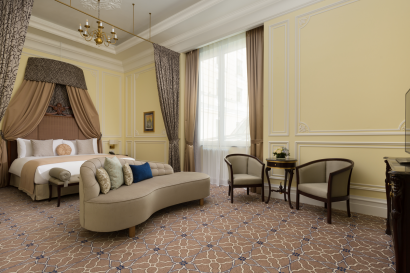 Named Russia’s Leading Hotel in 2018 and Europe’s Leading New Hotel in 2017 by the World Travel Awards, the Lotte Hotel St. Petersburg features rooms decorated in classic and contemporary styles. The restaurant facilities include The Lounge, an all-day dining restaurant with a grandiose stained glass cupola; MEGUmi, the first premium Japanese restaurant in St. Petersburg; and L Terrasa, a rooftop bar with a spectacular view over St. Isaac’s Square. The world famous authentic Balinese Mandara Spa is committed to providing guests with the highest level spa experience. Lotte Hotel St. Petersburg belongs to Korea’s largest luxury hotel chain – Lotte Hotels & Resorts, the hospitality arm of Lotte Group, a multinational conglomerate with over 60 business units. Lotte got its name after Charlotte, the main character of Goethe’s masterpiece, “The Sorrows of Young Werther.” Charlotte is a character beloved by readers all over the world. Inspired by her, the Lotte Group has developed into a leading Korean enterprise with a dream of filling the world with love, liberty, and life. It is now expanding further to become a company beloved by people throughout the entire world. Lotte Hotel is a new hotel, constructed in 2017. 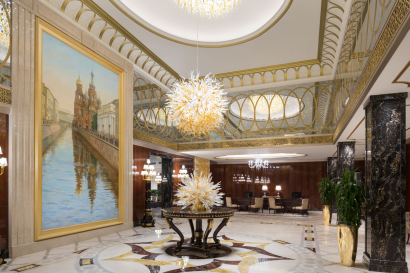 – The newest luxurious five-star Hotel in Saint Petersburg (opening September 2017). – Privileged location on St. Isaac’s Square. 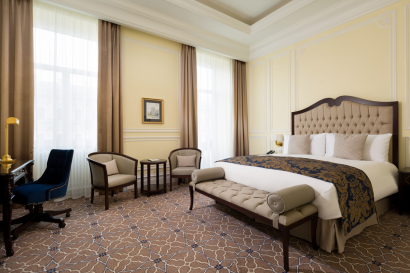 – Lotte Hotel St. Petersburg is a place of history. For several years of the building’s history, it had served as the private residence of the first U.S. Ambassador to the Russian Empire, John Quincy Adams, who was later to become the sixth President of the USA. 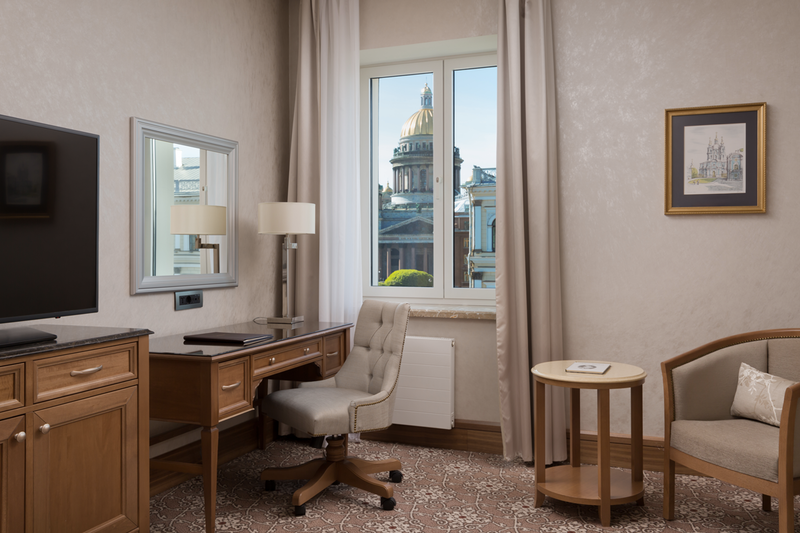 – Lotte Hotel St. Petersburg features the most spacious (average size of rooms starts from 41 sq.m.) and functional accommodation in the city. – Member of the Leading Hotels of the World. – Recognized Russia’s Leading Hotel in 2018 by World Travel Awards. – Walking distance to the premium shopping malls. – MEGUmi – the first premium class Japanese restaurant in the city. – Iconic rooftop bar L Terrasa with breathtaking panoramic views of the city . 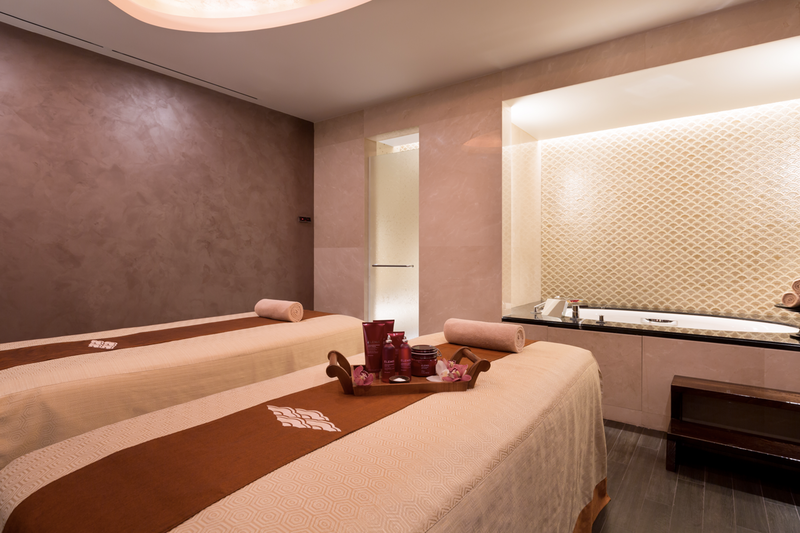 – World-famous Mandara Spa with the professional team of therapists from Bali. – Dedicated concierges – members of the elite Les Clefs d’Or association. Lotte Hotel St. Petersburg is located in the very heart of the city. Overlooking St. Isaac’s Сathedral, the Moika river and the Blue Bridge the hotel is just a short walk from The Hermitage Museum, Nevsky prospect and Mariinsky theatre. The hotel is situated just 4 km away from Moskovsky Railway Station (15 min by car) and 21 km from Pulkovo International Airport (45 min by car). In 1849, an honorary citizen of Petersburg Ms. Yakunchikova acquired the building to turn it into a profitable house with apartments. The project of the French architect M. Adrian Robin was approved by Emperor Nicholas the First. However, during construction the owner violated the approved construction plan: the new apartment house rose higher than the adjacent Mariinsky Palace, which was built for the Emperor’s daughter, Grand Duchess Maria, as a wedding gift. His Imperial Majesty was furious. He punished the violators: arrested M. Robin and sent him abroad and Ms. Yakunchikova was obliged to bring the facade of the building in line with the highly approved project. Behind the facades of a historic mansion built in 1802, are refined and elegant interiors appointed with the latest smart technology. Noted for its state-of-the-art facilities, haute cuisine, and warm and caring service, the hotel offers a completely new experience for guests seeking a stylish lifestyle. 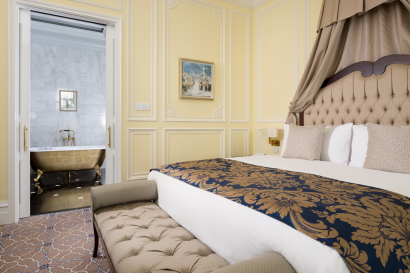 Each room comes fully equipped with tea and coffee facilities, smart panels to control lightning and air-conditioning, HD TV, marble bathroom with heated floor, smart Korean WC, refined bathroom amenities– either from Molton Brown or BVLGARI. 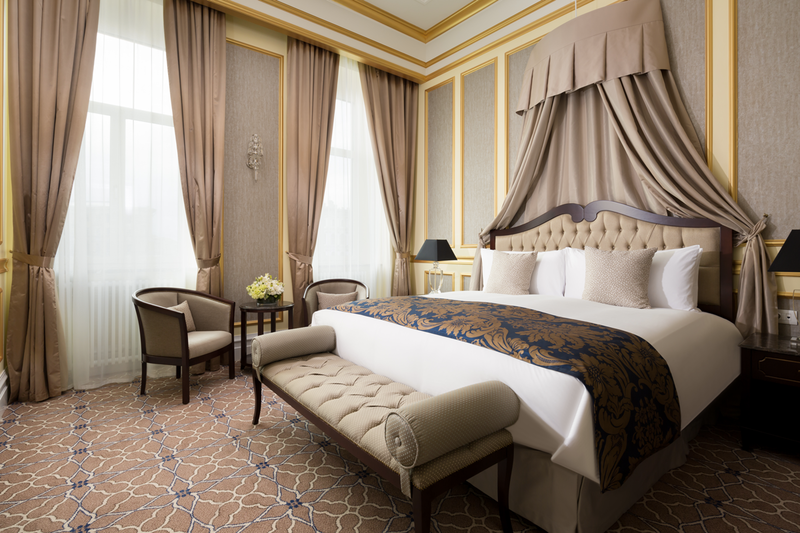 The carefully chosen furnishings, exquisite marble and fabrics are of the highest and most luxurious quality. 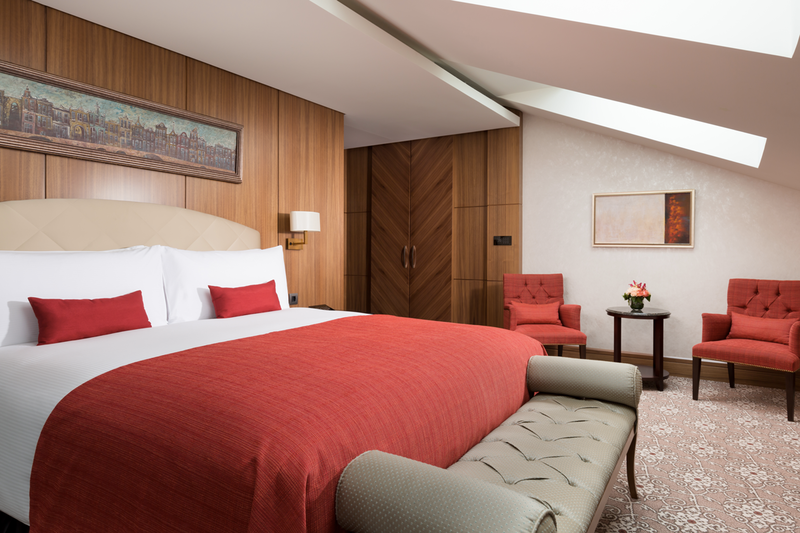 The majority of Lotte bedrooms and suites offer magnificent views over the city. 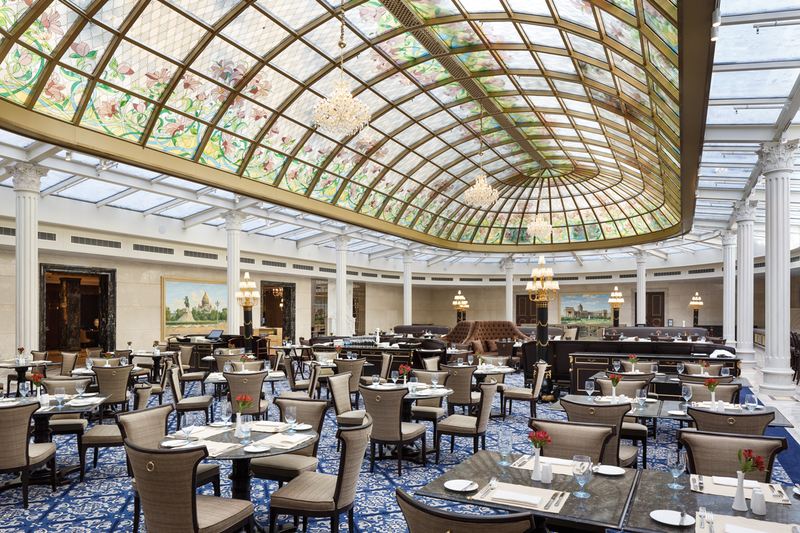 The Lounge with its area of 855m2 is the most spacious restaurant of Lotte Hotel St. Petersburg. The gourmet menu embraces the finest dishes from around the world featuring the tastes of Mediterranean, Asian, Mexican, Russian and other cuisines. Our sommelier will help to choose the best wine to accompany your meal creating a truly sublime dining experience. The Lounge invites to enjoy refreshing breakfast, gourmand lunch and exquisite dinner in elegant and yet relaxing atmosphere. The highlight of the timeless design is authentic Italian stained glass dome decorated with the patterns of Asian lilies. The Lounge is a perfect place to enjoy delicious meal or to relax sipping one of our exclusive cocktails. Lotte Hotel St.Petersburg is proud to welcome world-famous modern Japanese concept of MEGUmi Our Executive Chef – Ban Munechika – the president of the Association of Japanese Chefs of Russia, is leading the team of experts. MEGUmi restaurant carries the art and science of contemporary Japanese gastronomy delivering one-of-a-kind culinary experience through unique ingredients and exquisite presentation. MEGUmi introduces the metamorphosis of fine Japanese cuisine, seductive ambience and impeccable service. Dive into the atmosphere of white nights and enjoy the legendary view of St. Petersburg at the open bar L Terrasa, located on the roof top. During summer months here you can enjoy marvelous view on the historical center of the Northern Venice. Wide range of snacks and cocktails are at your disposal. Magnificent view, unique cocktails and fascinating atmosphere of White Nights – this is all you really need to feel the taste for life. Siniy Most Bar is our newly opened lobby bar featuring a “members only” atmosphere, glamorous ambiance and exquisite drinks. Whether pre-dinner cocktails or late-night drinks, this is the perfect spot. Mandara is a world-renowned spa, which embodies the philosophy of the ancient Balinese healing arts that are passed from generation to generation. Combining deep knowledge and traditions with modern European techniques, Mandara offers ultimate luxury experience for each guest. At your service is our carefully selected team of trained Balinese therapists that will take you on the unforgettable journey to true revitalization. The largest (104 m²) Fitness Club within 5-star hotels in St. Petersburg is fully equipped with state-of-the-art Technogym facilities. 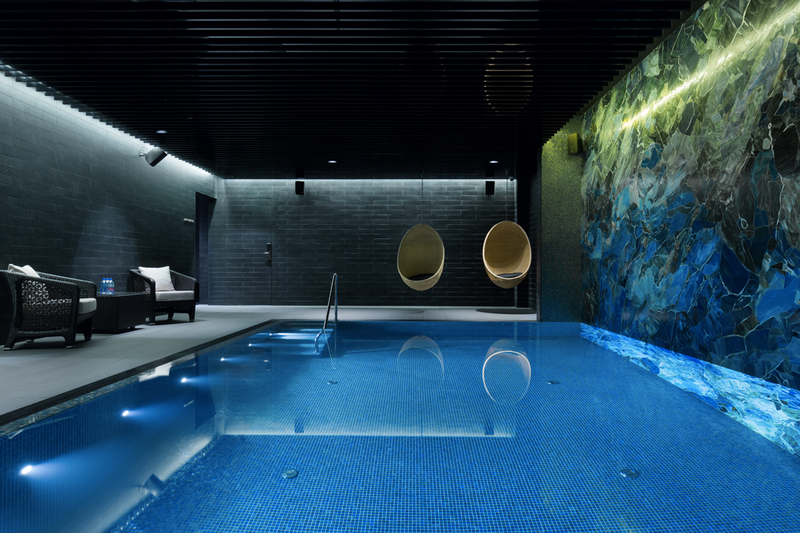 Our indoor swimming pool provides relaxation for body and soul and an absolute sense of well-being. 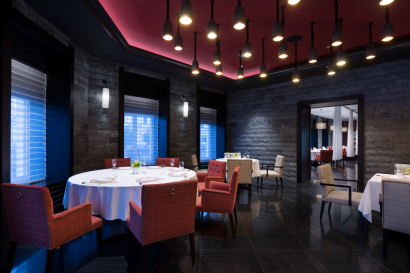 Lotte Hotel St. Petersburg is a perfect setting for incentive, social and corporate events or private banquets. If offers 2 elegant fully-equipped banquet halls. “Pushkin” banquet hall decorated in classical style with high ceilings and natural daylight flowing in through the large classical windows is a perfect place for business meetings, weddings and private parties. “Charlotte” banquet hall named after the main heroine of Johann Wolfgang von Goethe’s masterpiece “Sorrows of the Young Werther” revives the inner and the outer beauty of Werther’s love of life. Decorated in a sophisticated classical style, it is ideally designed for both business meetings and family gatherings.